Part coaching manual part love letter to Dutch soccer, Dutch ‘Total Football’ provides a comprehensive analysis of all the elements that make Dutch soccer so special. This includes an in-depth look at Dutch culture, how soccer was transformed from its amateurish 1960s roots and a look at the ‘Clockwork Orange’ teams of the 1970s. 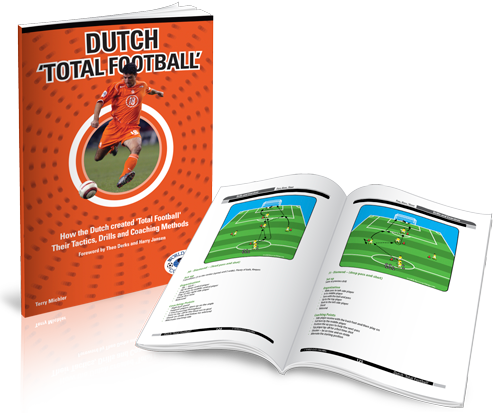 In addition, Dutch ‘Total Football’ is packed with over 120 pages of Dutch soccer drills, with detailed diagrams and clear explanations on how to gain the maximum benefit from every exercise. Whether you coach developing youth teams or players at the highest level, the background information on the Dutch ‘Total Football’ philosophy and training exercises make this book your ideal guide to learning from some of the most technically gifted players in the world today. Before the 1974 World Cup, Dutch soccer was seen as unrefined, amateurish and tactically crude. Those impressions soon changed when their brand of ‘Total Football’ saw them progress all the way to the final and to narrowly lose to the hosts, West Germany. Ever since the Dutch have been respected for playing an aggressive, technical and highly entertaining brand of soccer. 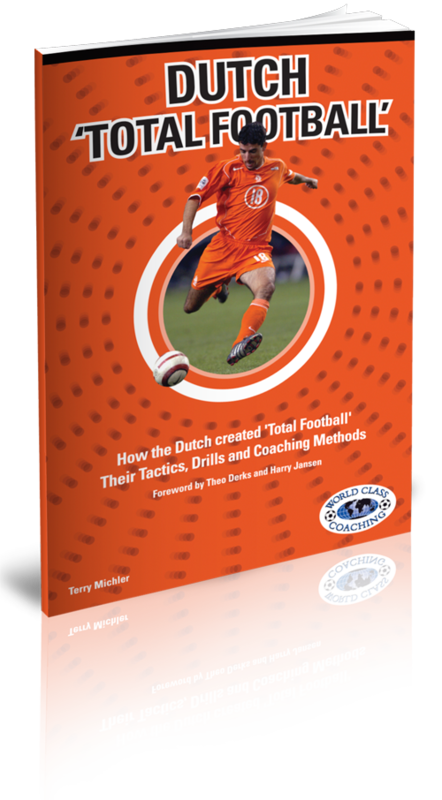 It’s evident from the passionate way in which the book’s author, Terry Michler, analyses the development of the Dutch game that he is one of their leading admirers. Dutch ‘Total Football’ is packed with soccer drills and exercises, but it is much more than a training manual. This book seeks to uncover the philosophy that drives the Dutch vision to ‘keep it simple’ while playing some of the most technically smooth soccer you’ll see. The result is that you will gain a much deeper understanding of the mindset and philosophy behind the training exercises and how they can help you to build a team that plays and performs like the smooth passing Dutch masters. Dutch Total Football is a book born from a coach’s passion for the Dutch style of football, a style of play which he has used to devastating effect for over 39 years, winning 24 District Championships (which includes 16 in a row). Terry Michler’s love of the Dutch style first arose when he attended a ten day International Coaching Course in Zeist, Holland, at the headquarters of the Dutch soccer governing body (KNVIS). As part of a small group of eight coaches instructed by A-licensed instructors Jan Pruijn and Brom Braam, Michler experienced firsthand the Dutch culture and mentality towards soccer, which has proven so successful at developing a style of play that is aggressive, powerful and highly entertaining to watch. Ever since, Michler has sought to embue every team he coaches with the Dutrch vision of how soccer should be player. 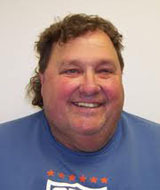 Michler played for Rockhurst College before turning pro and playing for Kansas City Spurs for two seasons, where he won the North American Soccer league Championship in 1969. 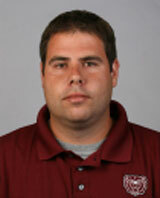 Michler then swiftly made the transition to coaching at Christian Brothers College (CBC), Missouri, where he continues coaching over 40 years later. During his tenure, Michler has accumulated the most winningest record in high school coaching of all time: 24 District Championships, 16 Final Four appearances, 12 State Final appearances, 6 State Championships and 10 times national rankings. In addition, Michler’s 40 years of coaching has overseen the development of an astounding number of players: 32 became pros, 8 played nationally, 18 High School All-Americans and 283 played collegiate soccer. 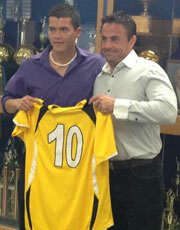 Along with league and cup trophies, Michler’s achievements have included being awarded the National High School Coach of the Year (1985) and the StudentSportsSoccer.com Coach of the Year (2004). Along with Dutch Total Football, Michler is the author of Coaching Soccer Champions and Full Season Training Program – Elite Teams. Dutch ‘Total Football’ opens with Michler explaining where his fascination for Dutch soccer comes from and why he loves their style of play and how it has shaped his own mentality and approach to the game. This chapter looks at how ‘Total Football’ was born from humble beginnings, and the influence of Rinus Michel’s master plan to create a new generation of highly technical and organized Dutch players. Michler discusses how the color orange’s association with creativity makes it the ideal choice for Holland’s free flowing brand of soccer. How did the Dutch mentality and national identity influence their approach to soccer? This chapter answers these questions and more. The Dutch have a theory that space on the pitch is flexible and every run is designed to increase and exploit the space that is available. This kind of inventive, creative and abstract thinking permeates every level of Dutch soccer, and this chapter analyses how and why. Chapter 5 – What is Dutch Soccer? Characteristics include a careful buildup from the back, early deep passes to start the attack and the third man concept. The Dutch also have a certain arrogance in the way they play but sometimes miss the ingredient of a competitive drive. Michler analyzes all these ingredients and more that define the Dutch game. With the decline of street soccer, Dutch coaches had to find alternative ways of taking the concepts and skills developed in casual games onto the training pitch. With street soccer in decline in most countries, the lessons the Dutch learned will be of interest to any coach. In this chapter Michler looks at arguably Holland’s most famous club side, including the history of their name, emblem and vision of a team that can trace its roots of playing attacking soccer back to WW1. Holland’s most naturally gifted player of all time, Michler looks at the qualities that made Johan Cruyff so special and why he was the archetypal Dutch player. Michels’ book ‘Team Building: The Road to Success’ was the blueprint to the development of a structural approach to coaching young players across Holland. Michler looks at how the book’s influence continues today. This chapter looks at the elements of the Dutch vision for how soccer should be taught and played, such as many repetitions to develop technique and total enjoyment from playing. This final background chapter explains how to connect all the background information with what you are trying to achieve on the practice ground, in particular the need to pay attention to quality, detail and mentality. Utilizing the Dutch approach to rectangular passing runs, this extensive collection of passing drills will help to develop your players’ technical first touch and passing accuracy. Holland is famous for their ability to literally pass the ball all the way up the pitch and into the net. These drills use half the pitch to create full team drills in which the move ends with a shot on goal. This drills aim to improve the ability of your players to think, to create space and to work together when dealing with pressure and to support each other. If you want to learn how to improve your team’s passing and movement, there is no better nation to learn from than the Dutch. Along with over 120 soccer drills, you gain a wealth of background information on the history, philosophy and characteristics of ‘Total Football’ in the Netherlands. Over 120 soccer drills used by coaches in academies all over the Netherlands to improve the technique, passing, thinking and creativity of players. If you want to train your team to play like Holland, you need look no further. Part training program and part love letter to the Dutch vision of soccer, Dutch ‘Total Football’ is packed with valuable insights and coaching tips you can use, whether you are developing young players, you’re a student of the game or coaching players at the highest level. “I’m pleased I was able to read this book as it truly has an attention to detail mindset, and more over education based, in understanding how very top players or most effective players in the game today, on average are on the ball just over a minute or so. Unfortunately as a whole this part of player development or performance is not fully understood or respected enough by coaches and the only attention focuses on time spent on the ball, not on performance in effecting opponents off the ball. The book truly does however cover essential techniques and ball relationship areas for momments of being in possesion, with well over 100 pages of sessions, again knowing you can adjust as you see, putting in the detail to suit the topic or individual player. Over all this book has my backing as a worth while addition and time spend reading.” – Chris Robinson – Former EPL Academy Coach and current Director of Education in TX. WORLD CLASS COACHING is recognized globally for the quality of its soccer coaching resources, which are used by over 40,000 soccer coaches from around the world. We wouldn’t be offering Dutch Total Football unless it achieves our exceptionally high standards. 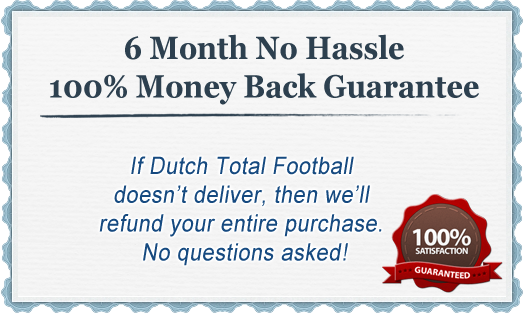 However, if you are not 100% satisfied with the quality of Dutch Total Football after six months of implementing its small sided games and exercises then please contact us for a no quibbles refund. Ever since the 1974 World Cup, when the Dutch brand of Total Football was showcased to the soccer world, coaches everywhere have sought to emulate the elegant yet aggressive pass and move style of Dutch sides. However, knowing how to emulate ‘Clockwork Orange’ sides involves much more than merely running through their drills. You also need to understand the philosophy, history and abstract thinking that makes Dutch soccer so devastating. In this special book, Terry Michler has sought to share both his passion and knowledge of Dutch soccer. The most winningest high school coach of all time, Michler knows exactly how and why coaches can use lessons from the Dutch to improve their team’s performance. Yes, you get over 120 drills used by Dutch coaches to improve the technique, passing ability and thinking of players. But what you also get is a wealth of background information that will enrich your understanding of exactly why the drills are used and the results you can expect to get. When put together, this combination makes Dutch ‘Total Football’ one of the most comprehensive books available on Dutch soccer and one that can help you to adopt the Dutch vision to your team’s training and future success. P.S. Dutch ‘Total Football’ is a comprehensive guide to Dutch soccer. Along with over 120 soccer drills used by Dutch coaches to improve technique, passing and mental agility, this book covers the philosophy, history and identity of ‘Clockwork Orange’ teams. This in-depth information will enrich your understanding of how soccer players are developed in the Netherlands and how you can apply their coaching methods to developing the aggressive, free flowing passing style of your own team. P.P.S If you are not 100% satisfied with the quality of the soccer coaching resources in Dutch ‘Total Football’ six months then we will refund your purchase in full, no questions asked.